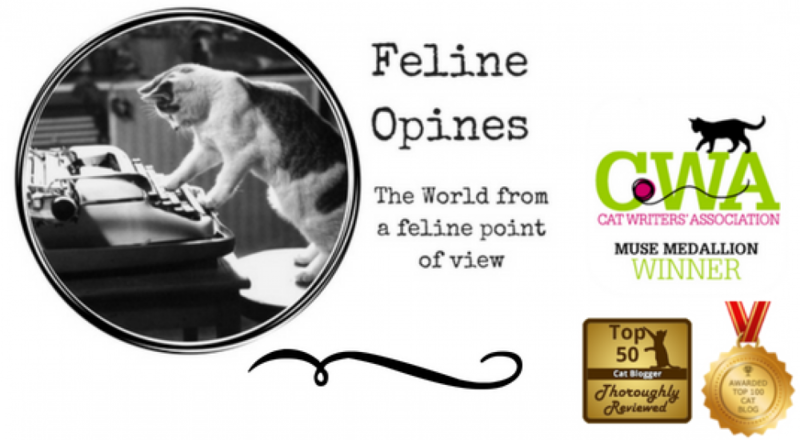 This entry was posted in AtoZBloggingChallenge, cat behavior, Cat writers, cats, Pet blogging, Siamese cats, Top 50 Cat Bloggers and tagged Alberto, cat yowling, cats singing the song of their people, The Tribe of Five, yowling by Feline Opines. Bookmark the permalink. Alberto, thank you for this valuable lesson! Thank you. I feel it’s my mission to enlighten the humans. Yes, many humans don’t understand that we felines like to speak to you Humans on occasion. Rats, that would have been a good one too! You are so wise, Alberto. I’ll make sure that I use that word properly with referring to whatever king of talking you’re doing. Why thank you for understanding! Yes,Siamese can be very talkative. Thank you for explaining the difference. I was brought up with Siamese I just loved their chatty characters. Our Humans do too which is why they always like to rescue cats with some blend of Siamese in them. I have to spend some time looking at your previous A-Z posts. I had to back up the link URL to just felineopines.net to get it to load, it wouldn’t work for me from the A-Z site, and I tried a few different letters! Glad to see the Siamese for the Yowl! Thanks for visiting us, we Felines have a lot to say! Ultraviolet certainly agrees, this makes perfect sense, Alberto! Well, everyone should learn something new every day… don’t you think? hehehehe~ I’m not a cat person, but it doesn’t mean I don’t love kitties!!!! Have a great day!